One of the best of its breed, both in sound and practicality - an LED lights when it's active and you can change how loose the treadle is with an Allen key. Six sweep ranges; adjustable treadle stiffness; LED status indicator. No markings to indicate sweep knob position. JAM pedals are used by Bernie Marsden, Dweezil Zappa and Nels Cline among others. Each has circuitry based on classic '60s and '70s vintage pedals using high-quality (often NOS) components. This Wahcko Plus, for example, features a red Fasel inductor, carbon-comp resistors, tropical fish capacitors and a highly-specified pot. 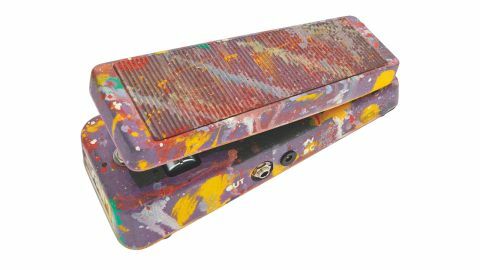 This is an expressive and vocal wah with a lovely smooth sweep through any of the six selectable frequency ranges on its six-position rotary switch. It also provides a useful range of treble boosts.